Stores, organises, and protects text and pictures. Is there a better alternative to Jot? Is Jot really the best app in Productivity category? Will Jot work good on macOS 10.13.4? Jot is designed to help you store, organise, and protect any text information or pictures you desire. Your data is stored in databases in a folder referred to as the Library. In the Library you can manage your note databases (rename, delete, open, create, duplicate, backup, and import). 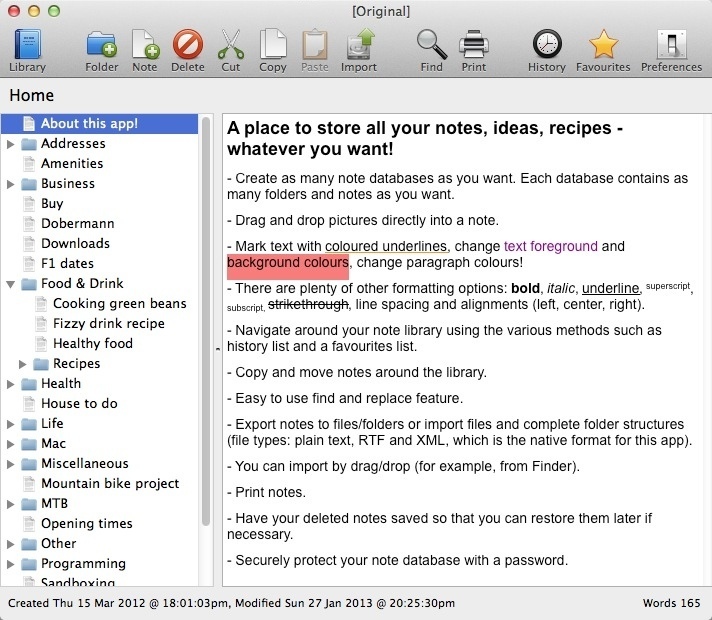 Each note database can be password protected, which means the data will be encrypted (kept private). Note: If you forget your password you will not be able to access your information. Features include favourite bookmarking, history list, attachments, and a search feature. Version 1.1.0.3.0: Release notes were unavailable when this listing was updated. Jot needs a review. Be the first to review this app and get the discussion started! Jot needs a rating. Be the first to rate this app and get the discussion started!